Keep Calm. Christmas is coming. I can’t beliebe it’s almost Christmas again! It surely is a wonderful time but also feels very stressful. Especially when it’s time to start thinking about buying Christmas presents. There are loved ones, family, friends, co-workers and so many Christmas parties you can of want to bring something to. At the end I always spend so much more money, get super stressed and overwhelmed that it kind of gets impersonal and not fun anymore. No need to worry because I have the solution for you! This year I want to share with you a super easy and fun Christmas gift idea, which is perfect to bring to invitations and give as a present. We are making two amazing Christmas Granolas! 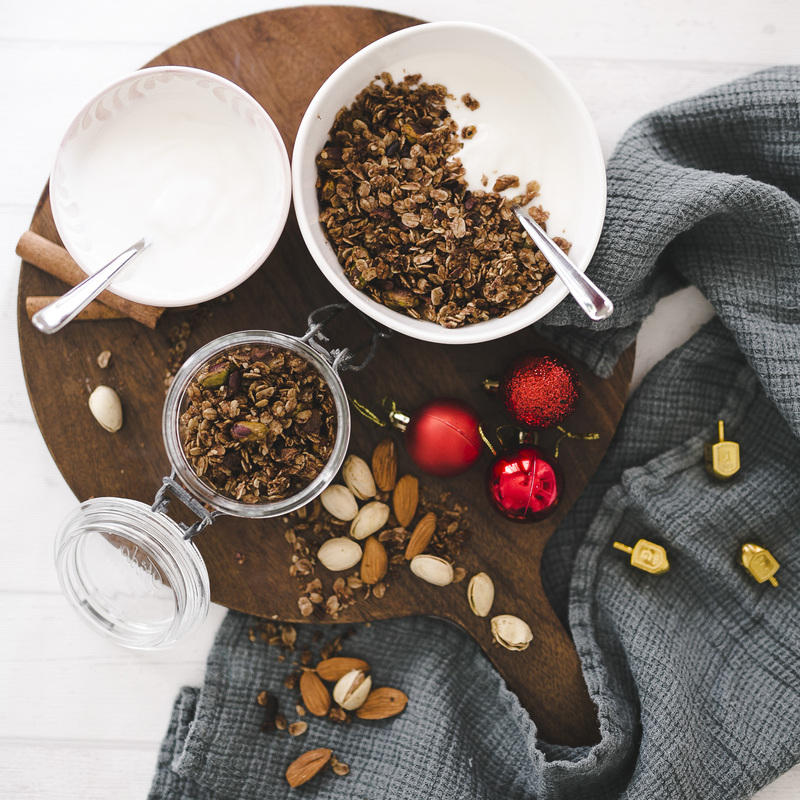 The first granola is a chocolate crunch granola and the second is a raisin granola. They are honestly both super delicious and it’s so fun to make them. 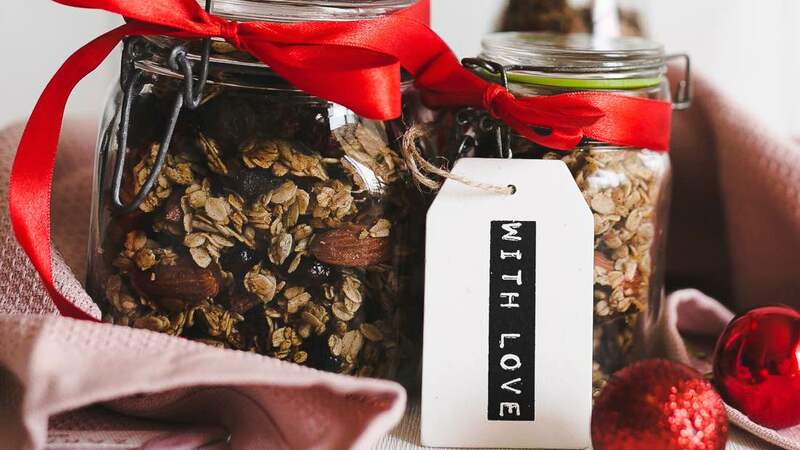 The best part is, you can personalise each Granola, write cards and decorate them as you wish. It’s also much cheaper, less stressful and more fun. Also, it can inspire the one you are gifting to start the year healthy and delicious. Also, I made a Video to the recipes which you can watch here. Preheat the oven to 160°C. Place all the dry ingredients into a bowl (except the chocolate chips and raisins) and mix well. Add the liquid ingredients and mix again. Place on a lined baking tray. Bake for 30-40 minutes and mix every 15 minutes so nothing gets burned. Take the Granola out of the oven and cool off completely. Add the raisins/chocolate chips (depending on which one you are making) and carefully mix. Place in glass jars and decorate as you wish. Hope you love this idea as much as I do and are less stressed now:). 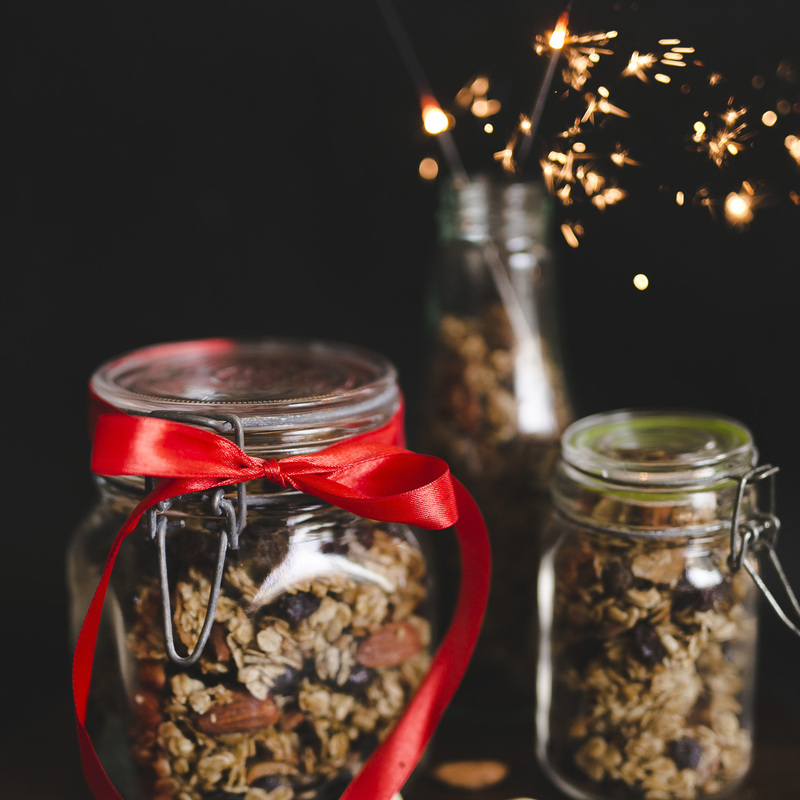 Show me your Christmas Granolas by tagging me with @nathaliescuisine!